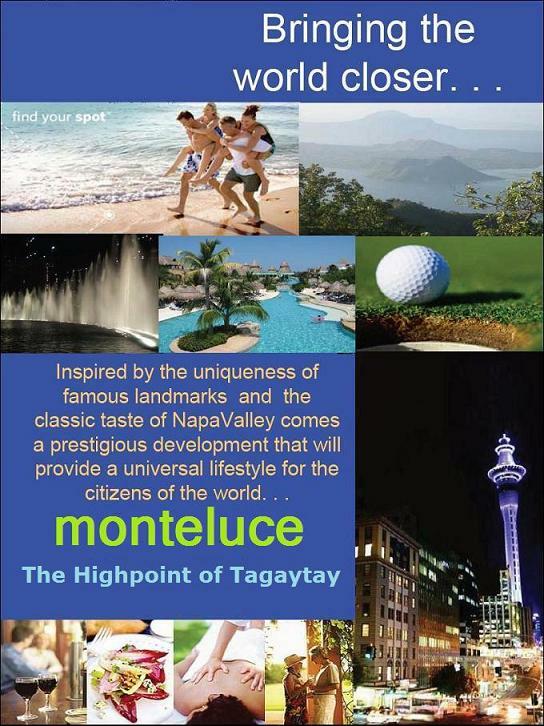 Own a Prestigious Property in Tagaytay ( Philippines ) Now with a Business Opportunity at the same time ! MONTELUCE will redefine our common perception of the Urban Experience. THE PRIDE OF THE PHILIPPINES , It will be one of the most exciting destinations in Asia . The FIRST Fully Fitted, Fully Furnished, and Fully Serviced World Class Residential & Leisure Development with a passive business & income opportunity. 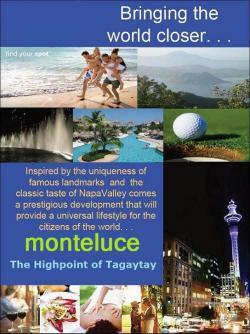 MONTELUCE The Highpoint of Tagaytay !